I was trying to convert an MP4 into an animated GIF for an answer on here. But neither of them worked. They appeared to just flatten it into a single image. 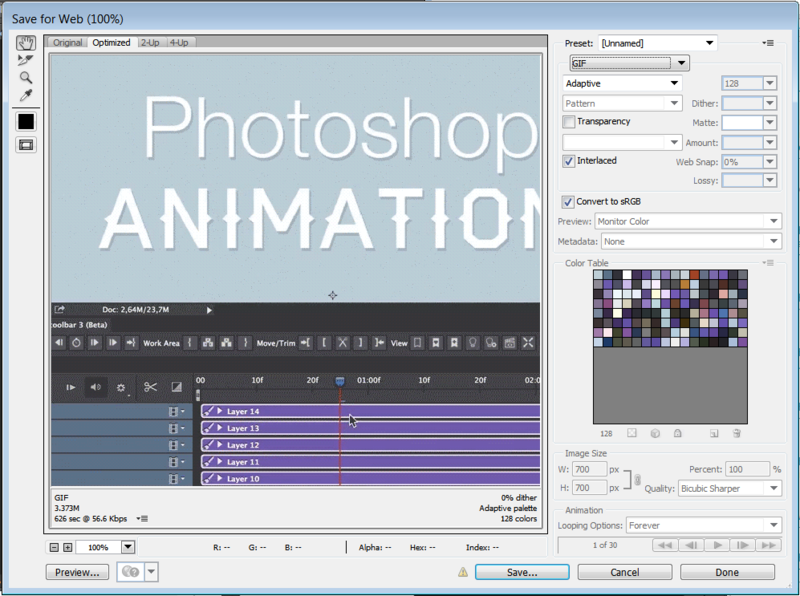 How can I create an animated GIF from a video file in Adobe Photoshop? 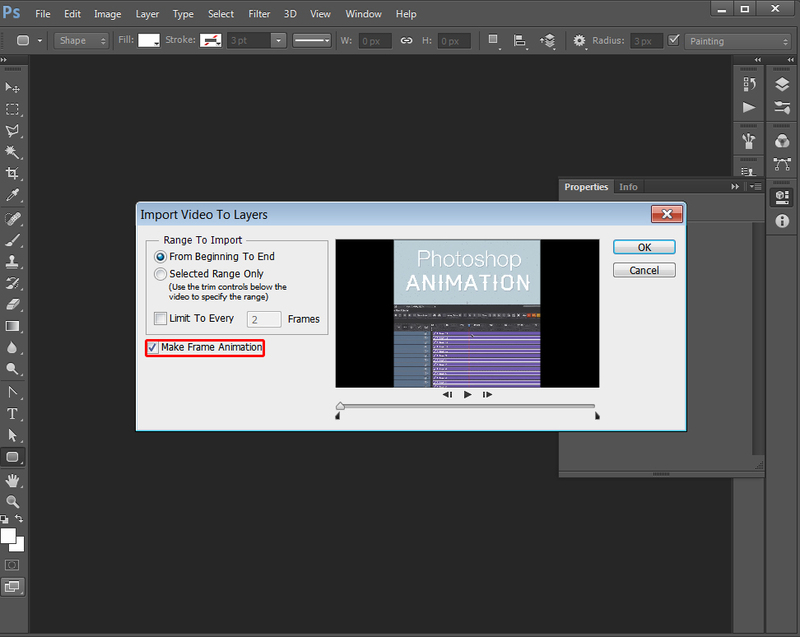 Open Photoshop without opening the video file. 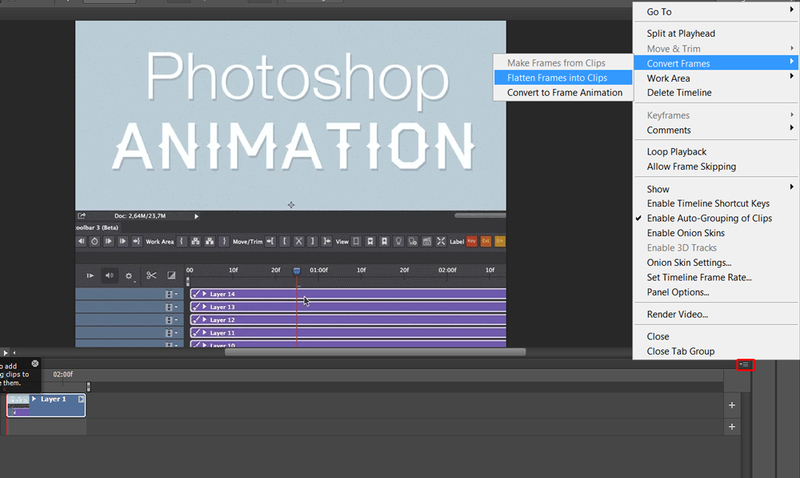 In the options that appear, make sure the "Make Frame Animation" checkbox is ticked. At this stage you can also select only a specified range of the video and only import every 2nd, 3rd, 4th, nth frame. Useful for many reasons, the most obvious being to reduce file size. 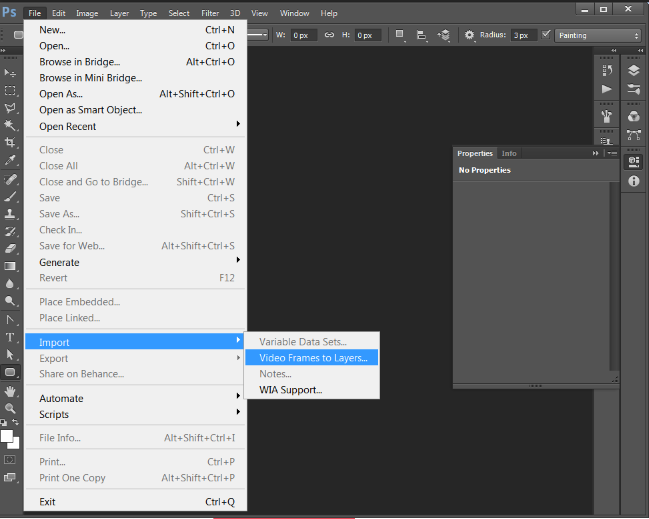 Choose one of the GIF options from the preset menu, or choose the GIF option in the dropdown list underneath the presets and adjust the options based on your needs. Click "Save", give it a name, and enjoy. How may I transfer a frame animation from one PSD file to another?